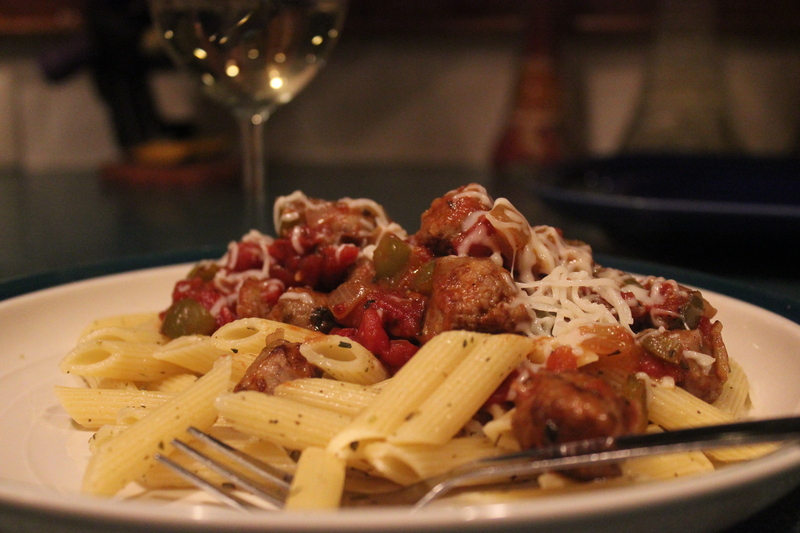 This is a quick meal that takes about 35 minutes to cook. You can alternatively use hot sausage instead of the sweet sausage. So I have used a lot of tomatoes recently and wanted to share the benefits of eating tomatoes with all of you. Tomatoes are full of Lycopene which is a powerful inhibitor of the growth of breast, endometrium (inner lining of the uterus) and lung cancer cells. Tomatoes are good for the eyes. Lycopene, the most abundant carotenoid in the blood serum, was found to be the key antioxidant that guards against ARMD (Age-Related Macular Degeneration), a condition that may cause blindness. Lycopene is an inhibitor to heart disease, and colon cancer. All very good reasons to have tomatoes in your life! So for tonight’s dinner we need the following items. In a large skillet cook the bite size pieces of sausage over medium high heat for about 10 minutes or until almost cooked through. 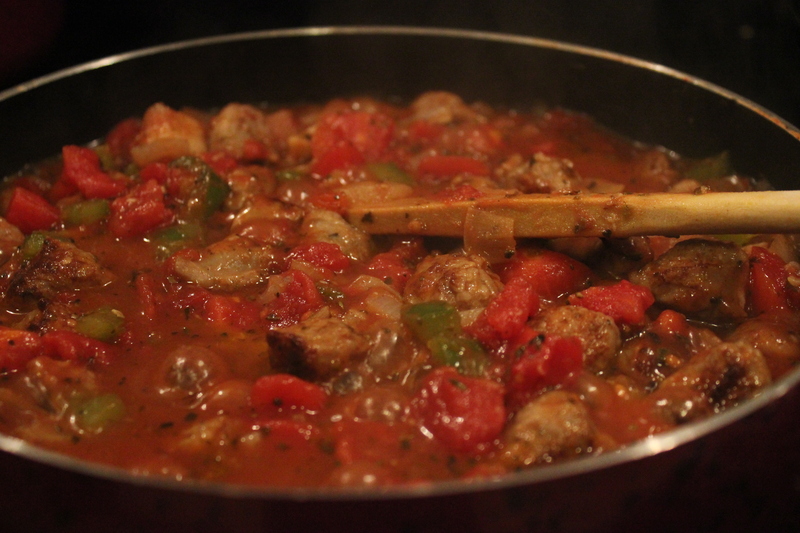 Add the Onions, peppers, garlic and oregano and continue to sauté for 2 to 3 minutes before adding the tomatoes and salt and pepper. 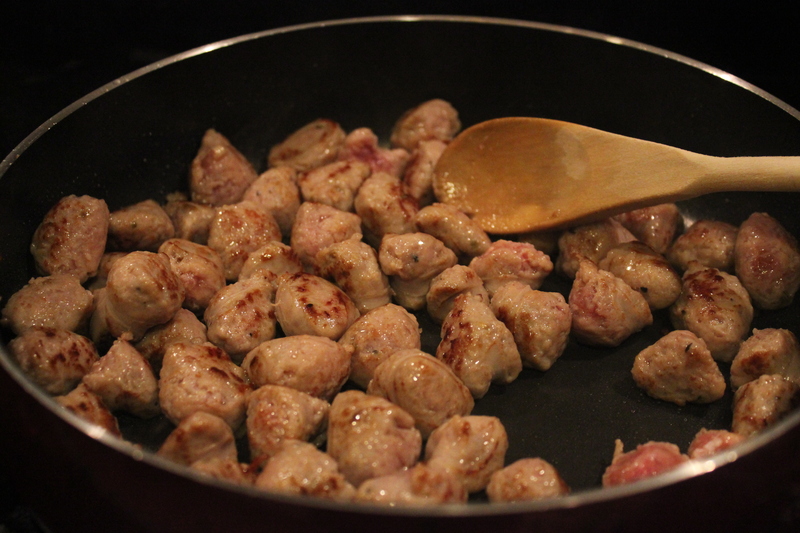 Cook the pasta and add the brown sugar to the sausage mixture. 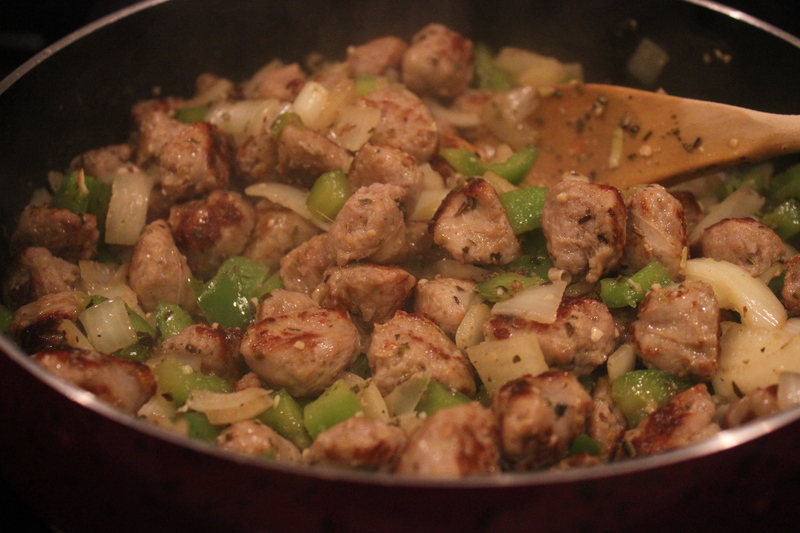 Once the pasta is done, top with the sausage mixture and some cheese. What a great, and quick meal! My Family loved it!